It says: "...do not have any mechanical contacts or other wear-prone moveable parts. This guarantees a long, failure-free service life...". Video of the yellow colored Opae ula. My conclusion was white or dying seaweed. If you look closely, it looks like seaweed at certain angles. Aha! What‘s that white stick??? Algae In Space wrote: Aha! What‘s that white stick??? Twig or root of that plant at the 1 minute mark if the video. 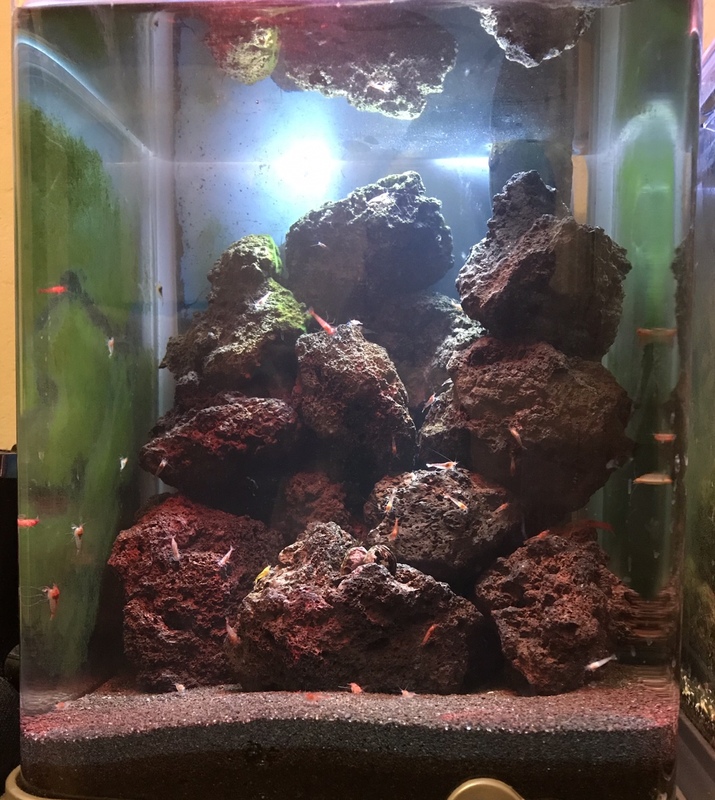 Rescaped the lohena/Opae ula tank and was able to hide the heater with no glue used the stack the volcano rock. Now the lohena really hide within the rocks.